Matt Weber started Crossgrain Construction in 2012. But that wasn’t his start in this industry. He practically grew up in construction, and has been involved in it in some way or another ever since. That he could charge for an estimate. If you don’t have advice for a specific situation, then follow your gut instinct. Most of the time it will be correct. Say no if you don’t think it will be a good fit. Be transparent with your client. The Protractor Tip is brought to you today by Jackson Andrews, and it’s all about “Looking At Change Orders As A Way To Improve Your Project Rather Than a Discouragement To Your Client.” Jackson made some very good points in this tip. Give it a listen. I know you’ll be encouraged. The book Martin recommends is: The 7 Habits Of Highly Effective People. It’s good for you to grow in both personal as well as business development. 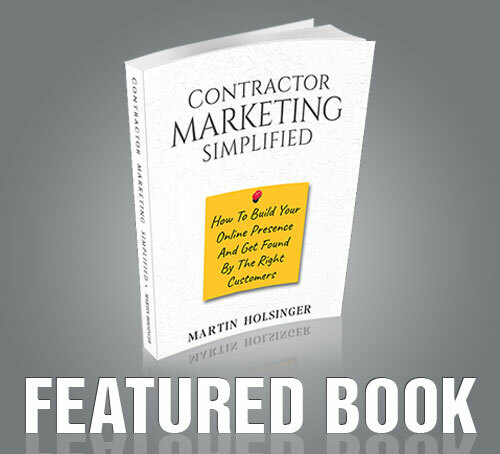 The contractor website client featured today is Corona Marble and Tile. They do top notch marble, tile, and stone work in the Baltimore vicinity. As always, Thanks for listening. We hope you’re inspired by this episode!